Our Monterzy campaign nominated for the Digital Communication Awards! 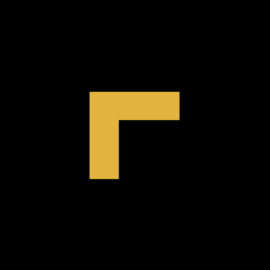 The Digital Communication Awards is a prestigious competition in which the most innovative online PR and communications projects are honoured by communication experts from across Europe. Campaigns, actions and projects that stand out from the crowd and set new trends in the world of digital communication are evaluated. Developed for the Zott brand by GoldenSubmarine, the Monterzy Campaign has been shortlisted for the award. Being nominated means we will soon personally present our campaign to the judging panel and compete for the main prize. Monterzy is an interactive game that offers Monte lovers an opportunity to design their very own flavour combination and product packaging. 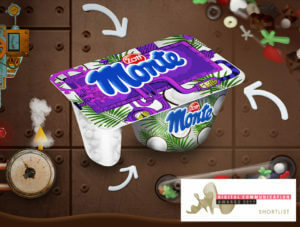 On the dedicated website or as others might want to phrase it – crazy Monte Factory, users created their favourite flavour selecting cream base and mix-ins. Easy-to-use configurator enabled users to design their own packaging of the dessert as well. The winner-project will soon hit the stores throughout Poland. The results of our campaign were striking – nearly 50 000 submitted projects and a unique brand experience for hundreds of thousands of users!